Josh Morrow should be in a good spot on a King-high flop. Josh has Aces and all his chips are going in the middle. 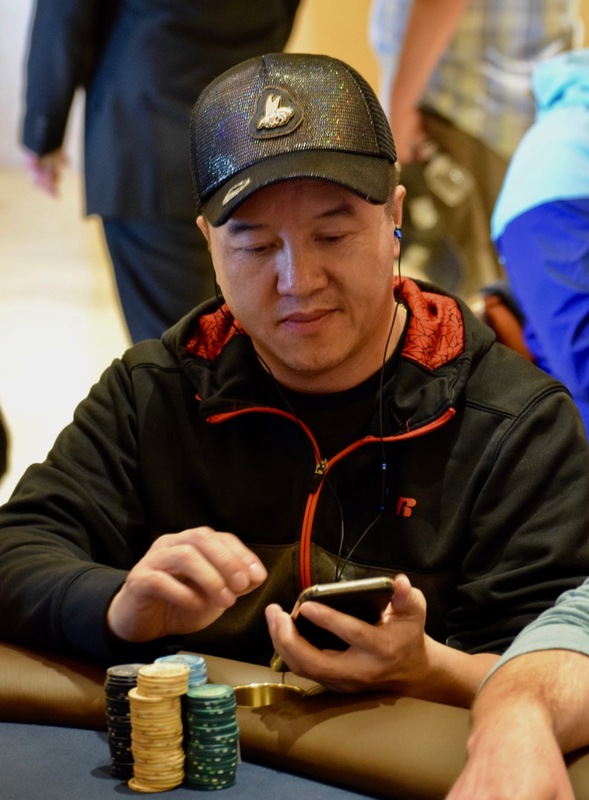 Cheng Xiong calls to put Morrow at risk .... and Xiong has pocket Kings. Yep, Aces vs. Kings and that is a King on the flop. Morrow was in on a $65 satellite, so his second entry today - yes he jsut re-entered - does not hurt as much as it could.